Rave reviews introduced the Datsun 240Z in 1969, and it quickly became a legend on both track and street. It offered tremendous performance and value, helping to knock the British sports car scene to its knees. The 240Z is arguably the first mass-produced Japanese collectible car. This particular example is reputed to be a rust-free, California car that’s been treated to a no-expense spared, ground-up restoration by Automotive Restorations, Inc. Shop owner and longtime vintage racer Kent Bain was the client. As a racer, Bain opted for a high-performance, 2.8-liter engine, suspension work and a five-speed conversion. Period alloy wheels complete the look. Not surprisingly, when a shop that rolls out million-dollars 300 SL Mercedes and Ferraris turns its attention to a 240Z, nothing but good things are bound to happen. This is one notable 240Z. The cosmetics are virtually perfect. Driving this car is no letdown either. It’s as tight as you’d want it with ample power. 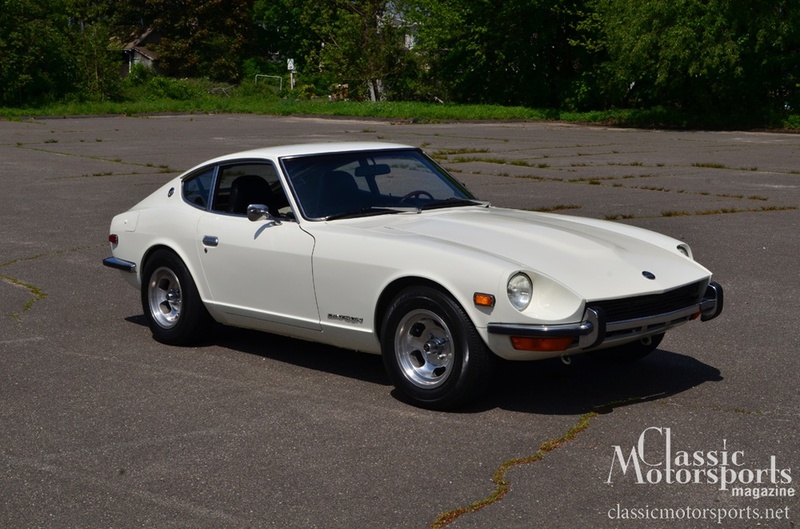 Add in the five-speed transmission–only four gears came standard–plus the air conditioner, and this Z makes a great street car. A lot of money was spent on this car, and it becomes quite clear during that first test drive. Is there anything not to love? As with all 240Zs, the manual steering is a bit stiff at low speeds but wakes up nicely at highway speeds. Perfection doesn’t come cheap, of course. While nice Z-cars are hovering in the mid-to high-teens—even after some negotiation—this one will still be in the mid-$20Ks, which is at the high end of the market for these cars. We’ve seen other Z-cars at this level that weren’t this nice. In a few years, there will be several folks who kicked themselves for not picking up this rising classic. 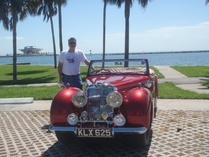 The Z Car Club Association is a great place to find fans of the model: zcca.org.